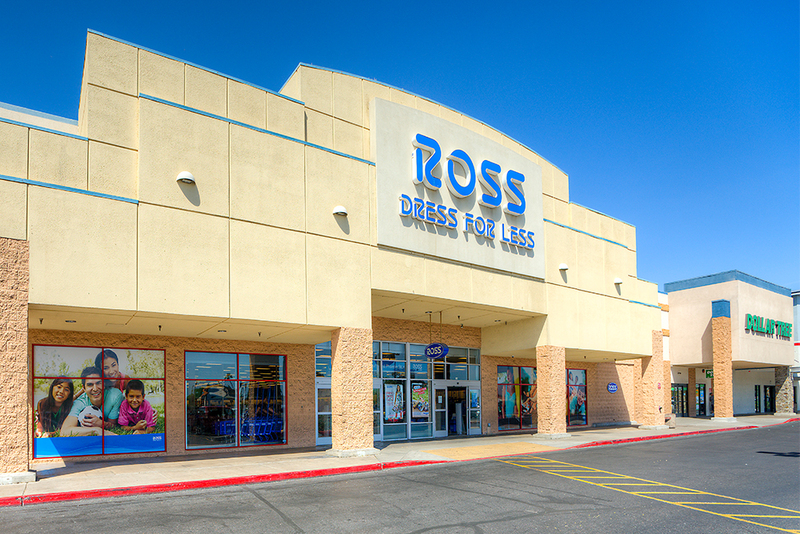 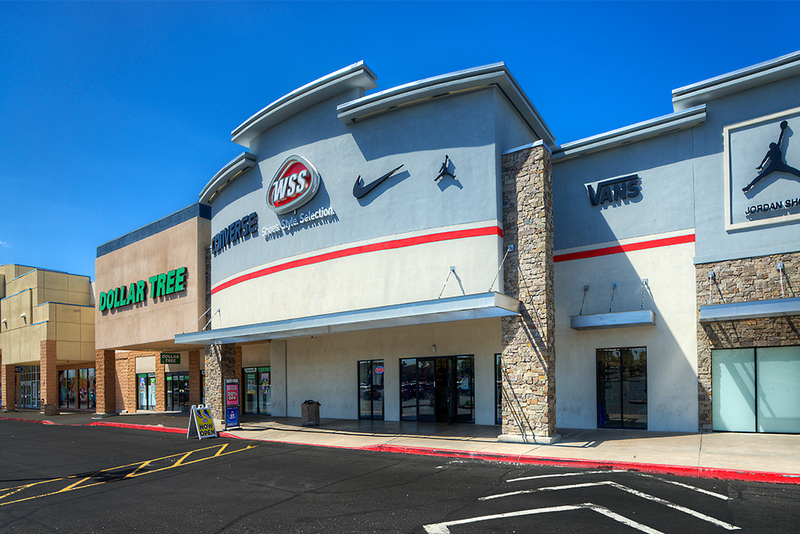 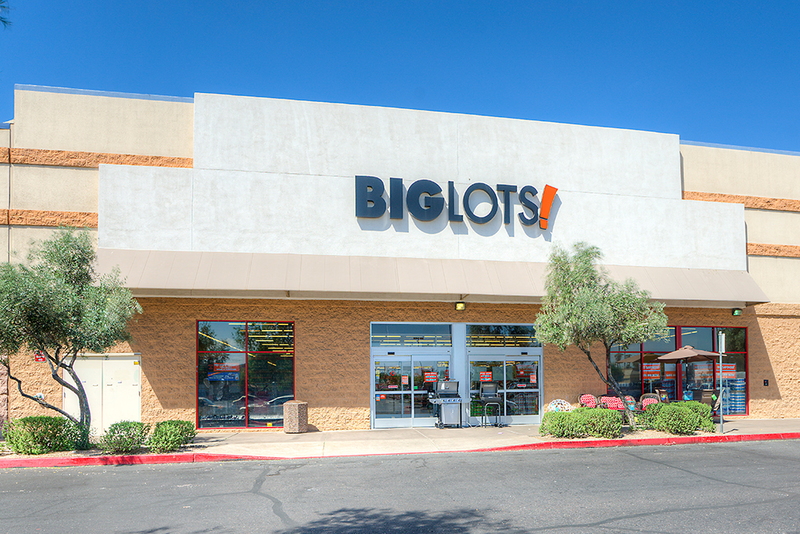 This successful power center in West Phoenix is located on the north-west corner of 75th Avenue & McDowell Road and is anchored by Ross, WSS, Big Lots, Dollar Tree and is shadow anchored by Wal-Mart Supercenter and Lowe's. 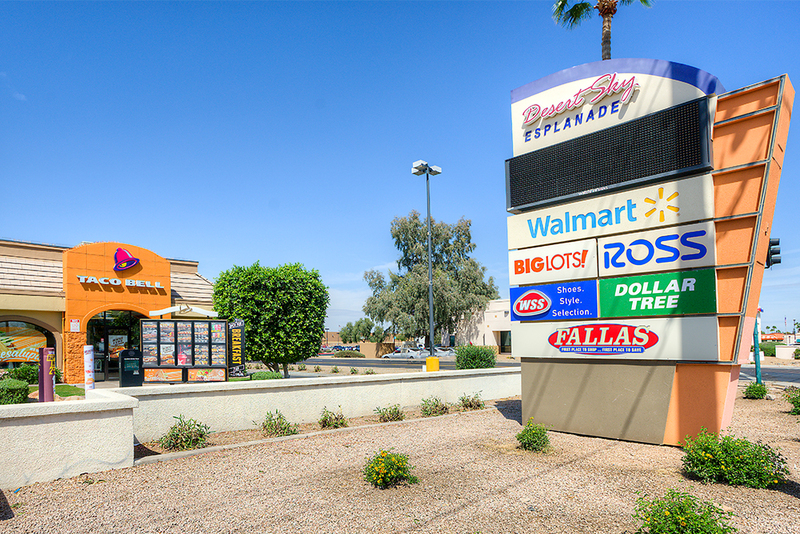 This center is a 1/4 mile north of the I-10 Freeway and has high Hispanic demographics. 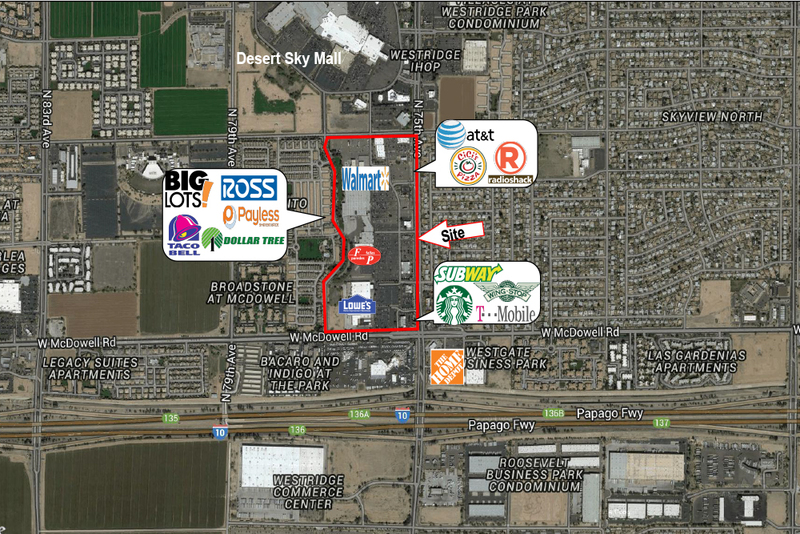 2,200 SF on a hard corner pad is available as well as 1.77 acres of land for sale or lease with frontage on McDowell Road.